Last year I recovered from an achilles tendon injury that was cause by running. I was running hills and training too hard and that resulted in my achilles tendon to suffer an injury. 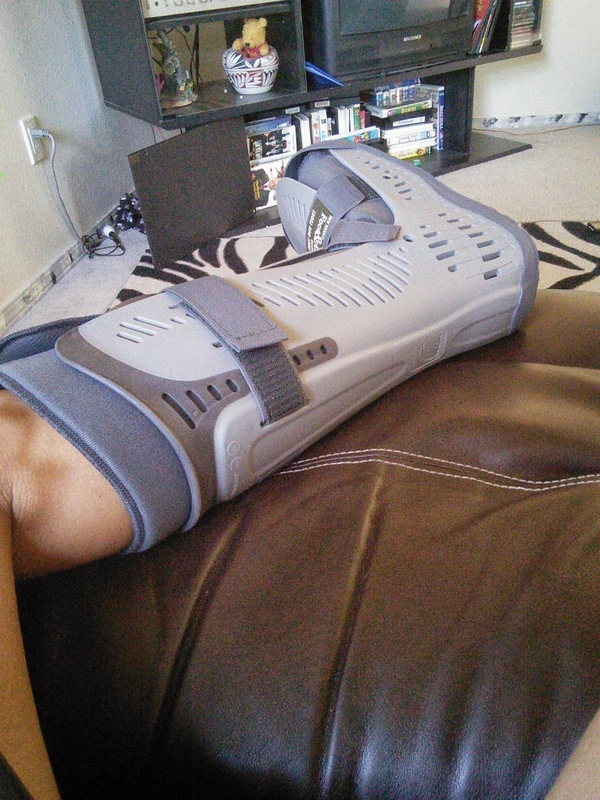 I had to get a shot in my achilles tendon and wear an ugly walking boot for three weeks to allow my tendon to heal. I was not able to walk much when the boot was on and when I did I was very slow, I think old ladies were passing me in the store with their walkers. I was glad to get the ugly boot off but I still had to take it easy and get back to my running gradually so I would not suffer another injury. My achilles tendon problem came back a month later after the walking boot treatment. I was not going to wear that boot again so I did research and discover that Glucosamine would help with my achilles tendonitis. I took a Glucosamine supplement for 6 weeks and it help me be able to walk without pain. My goal was to be able to start running again so when I discovered 100Naturals Joint 3X Triplex Joint Supplement, I knew I had to give it a try. 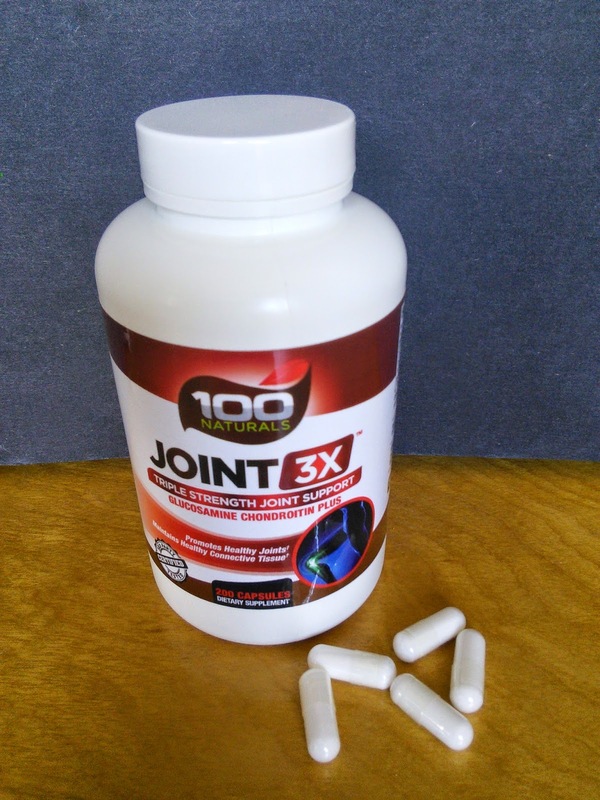 100Naturals Joint 3X Triplex Joint Supplement contains the Glucosamine that I was taking and also Chondroitin and MSM. I am hoping the additional supplements will help me be able to get back to running. Glucosamine: support the health and strength of connective tissue and may promote overall joint support! Chondroitin: an important component of cartilage health. MSM: a natural source of sulfur needed for optimal connective tissue health and joint support. This product contains 1500 mg Glucosamine, 1200 mg Chondroitin Sulfate, 2000 mg MSM in each serving. For more information on 100Naturals Joint 3X Triplex Joint Supplement, click on the below link. I hope that you feel better very soon! I hope this starts helping you soon! It is not fun being in pain. OUCH!! Feel better soon. I hope this helps you heal. Those are some great ingredients! I love it when nature can cure ailments! No bueno, Tara. Glad you recovered from that and found these joint supplements for a little post recovery assistance. lol @ old ladies with walkers passing you in the store. That boot isn't the cutest but at least you are getting better. I can't imagine not being able to prance around in my heels because of an injury. lol @ the old ladies with walkers passing you by. That boot isn't cute, but at least it fixed the problem. I tried drinking the glucosamine juice but it didn't seem to help with my back problems. I haven't tried supplements because I have other health issues now. I have some problems with achilles tendinitis. This could come in handy! Thanks! Oh NO! I do hope you feel better soon! That is very cool that you found something that really works. Sometimes, I am a bit skeptical when it comes to taking pills like this - I never know if they really work or not. Hope you don't suffer the injury again, sounds painful. whilst a number of people can also have reservations concerning the nice of these products, unique care is taken ensure that those dietary supplements meet the set requirements of purity and high-quality.Supplement for women over 40 maximum are advocated by using health care specialists.